The vast majority of expats living in Thailand have moved here in later life. While this is completely understandable in terms of the weather and lifestyle offered, it must also be remembered that we cannot stay and look young forever. Don’t despair though; there is a good range of anti aging tips for those who have chosen the good life in the Kingdom of Smiles, so let’s take a look at some of them. By the end of this piece it should be clear that how you choose to live in Thailand will be the ultimate judge of how young you look and healthy you feel. As with anywhere you need to do things in moderation. The problem is that in certain parts of the Kingdom the temptation to do things to excess is right on your doorstep! We will piece together a basic ‘Lifestyle Jigsaw’. By following this you should feel healthy, look fitter, and carry an appearance that is younger than your years. A well-balanced, nutritious diet is essential if you want to slow down those signs of aging. Thailand is blessed with some delicious dishes which are healthy and nutritious. You really should make the effort to experiment with Thai food, and do visit the local markets to see the wide selection on fresh foods on offer. Up your consumption of fish and other seafood. There is a good, reasonably priced choice, and the Omega 3 fish contains will do your body and complexion the power of good, and don’t shy away from including a variety of fresh vegetables with your meals. This is one of those temptations that need to be tempered! The climate and atmosphere here is tailor-made for a social drink, but please do your best to keep it just that; sociable. 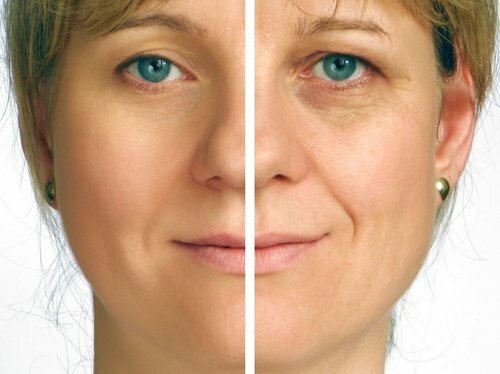 If you regularly drink to excess, not only will your health suffer, but it can put years on your appearance. This is another big ‘no-no’. Just because cigarettes are far cheaper here than in your home country does not mean they are any less damaging. Smoking leaves you wide-open to health problems and signs of aging will most definitely be pronounced. Stopping smoking is very difficult, but if you want to reduce health risks and reduce unwanted signs of aging you need to quit. Self-help groups, patches and electronic cigarettes are amongst the more popular options and all are readily available here. The climate in Thailand can ensure you have an all-year healthy tan, and that in itself can take years of your age, but please do not overdo it. Too much sun-exposure will speed up those signs of aging and leave you looking far older than you actually are. As for exercise, you should be swimming regularly or using one of the various fitness facilities. Those who have opted for village life should get into an exercise routine which includes running or walking as well as exercises such as sit-ups and press-ups. Wherever you are based, 3 times a week for 20 minutes a session will do it, but a little more often will certainly do you no harm.